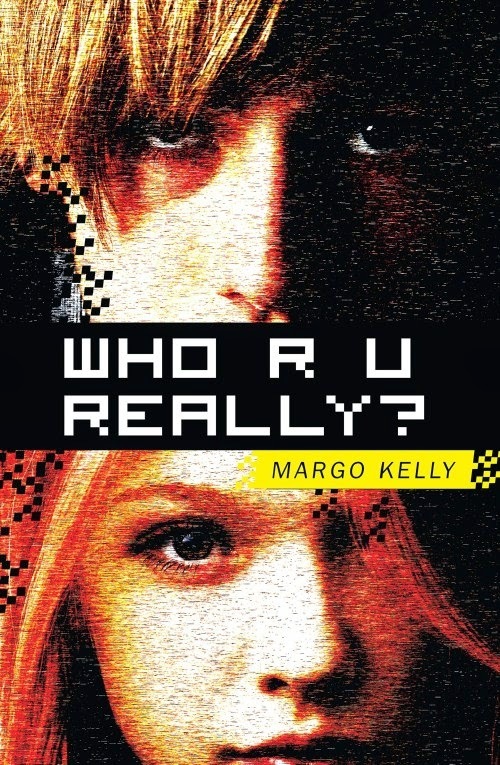 Margo Kelly: Frequently Asked Questions for WHO R U REALLY? Frequently Asked Questions for WHO R U REALLY? Q: Can you describe your book in five words? A: Girl falls for a boy. Q: How would you introduce Who R U Really? A: A teenage girl falls in love with a guy online, and when he comes for her in real life, he is not the person she thought he was. Who R U Really? is a rollercoaster ride of thrills and chills. I hope that you read it in one sitting, and I hope that you reevaluate your online habits after you close the book … because people aren’t always who they portray themselves to be online. Q: How did you come up with the title for your book? A: This story went through multiple title changes before we finally came up with Who R U Really?. My editor, Jackie Mitchard, and I emailed back and forth for quite a while brainstorming ideas, and this title emerged from that process. Q: How would you describe your protagonist? A: Thea is a naïve teenage girl who hungers to be loved by a boy. When things go wrong with the boy she likes at school, she falls for Kit, a guy she meets in an online role-playing game. She ends up lying to her parents and her friends, because she’s convinced she’s in love with Kit, and she’ll do anything for him. Her world falls apart when she learns that Kit is not who she thought he was. Thea has to figure out who she can trust in order to save herself in the end. Q: What was one of the most surprising things you learned in creating Thea? A: I had to get out of my “adult” head and climb into the head of a young naive girl. While you and I might have made different choices than Thea did in her situation, she made the best decisions she could with the knowledge and abilities she had at the time. Plus, we all make mistakes, even when we know better. If Thea had made all of the “right” decisions that would have made a boring story. Plots get exciting when the main character makes “wrong” choices. Q: For those who are unfamiliar with Kit, how would you introduce him? A: In theory, Kit is a sad teenager seeking out friends in an online role playing game. However, Kit is a figment of online imagination. He is basically a puppet, and the puppeteer is someone we should all be afraid of … or at least consciously aware of … because the puppeteer is manipulating the situation and as a result, manipulating the other players in the game. Q: If you could introduce one of your characters to any character from another book, who would it be and why? A: I would introduce Janie (Thea’s best friend) to Lia of Wintergirls by Laurie Halse Anderson, because moral support is essential in overcoming any addiction or illness. Q: Who is your favorite character? Least favorite? Q: Is this your first writing project? A: I have written non-fiction articles for magazines in the past, but Who R U Really? is my first novel to be published. A: Years ago, my daughter was nearly abducted by an online predator. After a counseling session one day, my daughter and I played the “what if” game. What if “this” had happened instead of that? What if “this” decision had been made instead of that? And a novel was born. There are many true scenes in the book along with many fictional ones. Q: What was the hardest part about writing your book? A: There are quite a few scenes in Who R U Really? that actually happened in real life. The hardest part about writing the story was making those real-life scenes translate into a believable fictional tale … because sometimes real-life events are too hard to believe. A: There are quite a few scenes and conversations in the story that are based on real-life events. For example, the white chair scene actually happened, and that’s one of the scariest scenes in the book. However, the majority of the book is a work of fiction. All of the secondary characters are a work of fiction. Q: What was the hardest scene for you to write? A: The scene where the mother and daughter played Scrabble was the hardest scene for me to write, because that happened in real life. The events that immediately followed the game also happened. As I wrote the scene, I got very emotional. Writing it from my daughter’s perspective rather than my own made it even more challenging. Q: What is your favorite scene in your book? A: My favorite scene would have to be the climax at the end, which did NOT happen in real life! Q: Do your characters talk to you? A: In the case of Who R U Really? 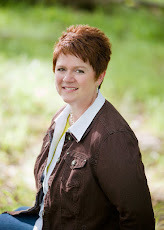 … yes, the characters really do talk to me, because the main character was loosely based on my daughter. She read early drafts and immediately TALKED to me. ;) She told me the things she liked and the things she hated. She was a great help, making sure the “voice” of the character was just right. Q: Did writing Who R U Really? bring back the trauma of your daughter’s experience? A: The process of writing the story was very therapeutic for both me and my daughter. The tough part for both of us was when we received the advance reading copies from the publisher. That was when we both realized the story was actually going out into the world for everyone to read. I have to admit there was a flash of panic for me. It was an extreme moment of vulnerability—feeling naked. Not only would people be judging the story for its merit, but also people would be judging my parenting choices and my daughter’s naivety. We wish we could explain a couple of things to every reader: 1) This happened to my daughter many years ago when she was eleven going on twelve. 2) This book is mostly a work of fiction. While many of the scenes happened in real life, there are many more that are merely a product of my imagination. Q: Was writing Who R U Really? a cathartic experience for you? A: Yes, it was. It allowed my daughter and me plenty of opportunities to discuss what happened and what could have happened. We’ve both grown and matured through the process, and we’re closer than ever. Q: Do you think you would have become a published novelist without your daughter’s harrowing experience to motivate you? A: The simple answer is yes. The long answer is that the path to becoming a traditionally published author can be a tough and time-consuming one. While I wanted to share my daughter’s story and it served as a great motivator, if no publisher had picked it up I would have continued pursuing the publication dream. Q: How is your daughter coping following her terrifying experience, and has it made her more cautious online and in life in general? A: My daughter is thriving (through the assistance of a great counselor and the benefit of time). The experience definitely made her more cautious online and probably a lot less trusting of people in the real world as well. Her trust was violated in a very intimate way, and it’s taken time for her to get to a place where she wants to trust people again. But she’s there now (many years later). She’s happy. She loves life. And she’s seeking out new adventures. Q: Why do you feel you had to tell this story? A: It’s important for writers to tell the stories they feel passionately about … and that’s an understatement for why I had to tell this story. The laws of the land are not set up to keep you safe when using the Internet. The only person protecting you online is you. So be mindful of what you’re doing and saying when typing or posting anything online. Q: What do you hope readers will get from your book? A: I hope they get a thrill from the book. I hope they stay up late to finish it. I hope they strain their eyes to read faster to find out what’s going to happen to the main character! And then, I hope they reevaluate their online practices. A: I have different definitions of success for different things in my life. 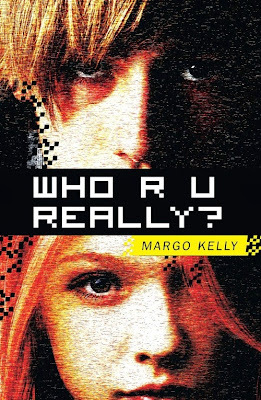 For the publication of Who R U Really?, I had defined success as helping at least one teenager stay safer online. I’m thrilled to say I’ve received several emails from teenagers telling me that after reading the book they cleaned out their “friends” lists online and deleted the people they did not know in real, everyday life. That’s a huge success. Q: Who are some of your favorite writers? The ones who inspired you to share your story in print? A: Dean Koontz is my favorite author in the thriller genre, but Laurie Halse Anderson is the author who inspired me to share the story of Who R U Really? with the world. Q: Who R U Really? is getting great reviews. Were you surprised to find such overwhelming success with your first literary project? A: I’m thrilled with the reviews that have come in for Who R U Really? … and yes, I’m a little surprised, because as I continue to improve my writing skills, I see things that I wish I would have done better in my debut. But since there’s nothing I can do about that now, I’m focusing on making my next project better than ever. And I hope readers will keep coming back for more! A: Patience. The traditional publishing process moves slowly, but it is a very worthwhile process. Q: What is the most unusual or interesting research you have done for your books? A: I’ve read a lot of Psychology Today articles about our emotions and why we make the choices we do … but I suppose that’s pretty boring research. For this book, the most interesting research I did was watch a lot of YouTube videos on self-defense so that I could make the scenes realistic in the story. Q: What are your thoughts on social networking and friendships? A: I love social networks, and I love friendships. However, we need to be aware and alert. People online are not always who they say they are. I’ve partnered with a campaign called STOP. THINK. CONNECT., and I’ve learned some interesting statistics through them. 75% of kids will share personal information in exchange for goods and services. That means, even if you tell your kids constantly to not share personal information online … when they receive an email or a message stating that they can get a free iPod (or whatever product), they’ll quickly type in their personal information to claim the merchandise. That message could be from a malicious person. It is our shared responsibility to help educate ourselves, our friends, and our family regarding online safety. Q: What practical advice would you offer teens today about staying safe while on the web? • Only accept friend requests on social media from people you know in your everyday life. • Be transparent with the people in your real life who love you. • Trust your parents. You don’t have to always agree with them, but trust that they have your best interests in mind. • Keep your actual birthdate, phone number, email, street address, even city private. No one online needs to have that personal information about you. • Most importantly, remember that there is strength in numbers. Use the buddy system, and do not ever meet an online acquaintance by yourself. Not ever. Don’t even play with the idea. Labels: frequently asked questions, WHO R U REALLY?